I love a good impulse purchase, and my most recent one- this little bareMinerals Touch Up To-Go duo- has already proven itself to be pretty great. It popped up at the bottom of the Sephora checkout. You know, where they show all the little things you'd never think to buy, but then there it is and you just have to? Yeah, there. It seemed so totally practical though, so I clearly took the bait. Read on to see why. I don't touch up all that much, but I do like to have a translucent powder in my bag just in case- especially in warmer months. I've been using what looks like a medium size satchel, but as it's so structured there really isn't much room in the inside. By the time I put in my sunglasses (in a hard case) and my wallet (pared down wallet even) it is pretty much full. The thought of this little duo seemed like it could definitely help with my space- lack thereof- issue. 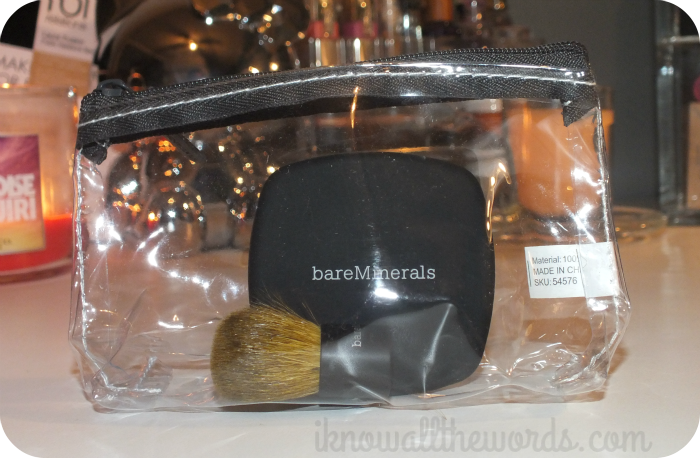 The duo is made up of a mini bareMinerals READY Touch Up Veil (0.15oz) and Baby Buki brush all housed in a mini clear makeup bag. I knew this was going to be small, but I couldn't help but do a little 'awww' over how cute and little this actually is. More on the size in a moment. 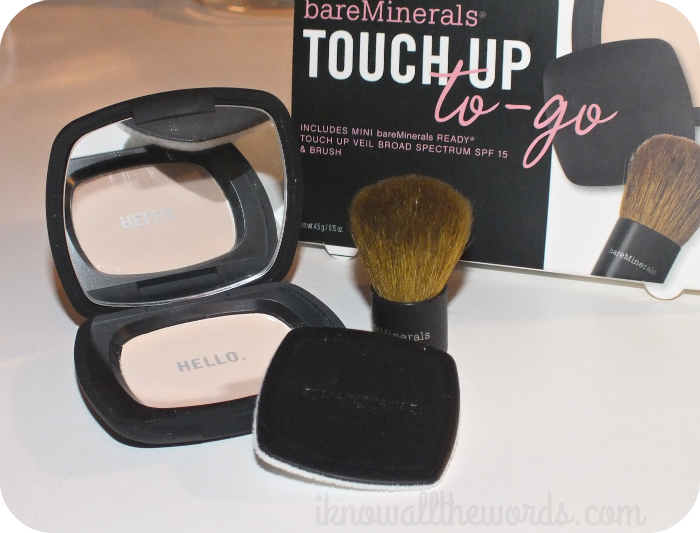 The Touch Up Veil is an amazing little powder, as it is translucent, has SPF 15, and works really well to, well... touch up. It alleviates shine without getting cakey or powdery and keeps skin looking naturally matte. 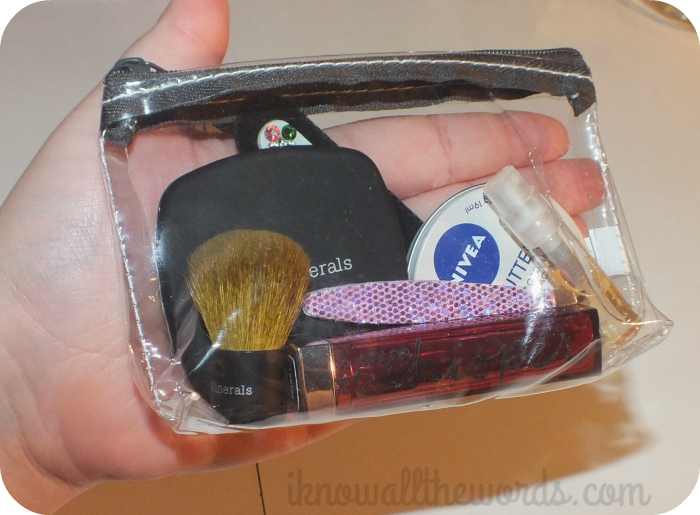 I wish there was some way to refill this little compact as it's so perfect for in a bag. 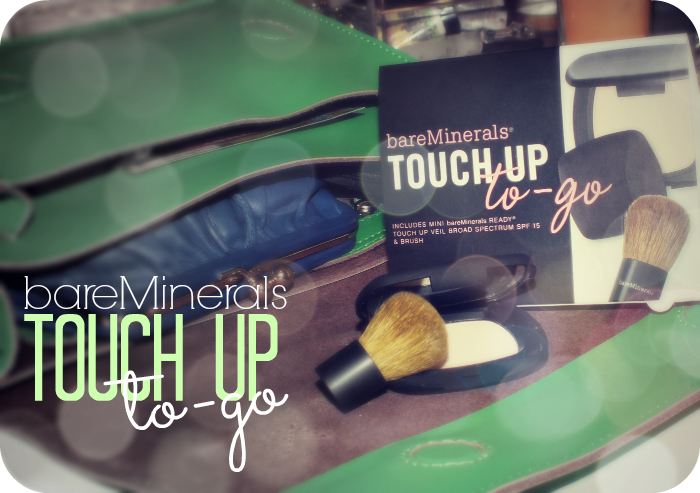 Get on that, okay bareMinerals? You'd have yourself a customer for life with that. The Baby Buki does look like a wee tiny thing, but it's not too small. You can easily touch up shiny spots with it and it's small stature makes it perfect for only powdering the shiny areas and not obliterating your other makeup. As you can see above, I used to have a MAC Studio Careblend Powder and a fluffy powder brush in a little clear Smashbox bag- it's so cute...it was part of the birthday freebie a few years ago if you were wondering. 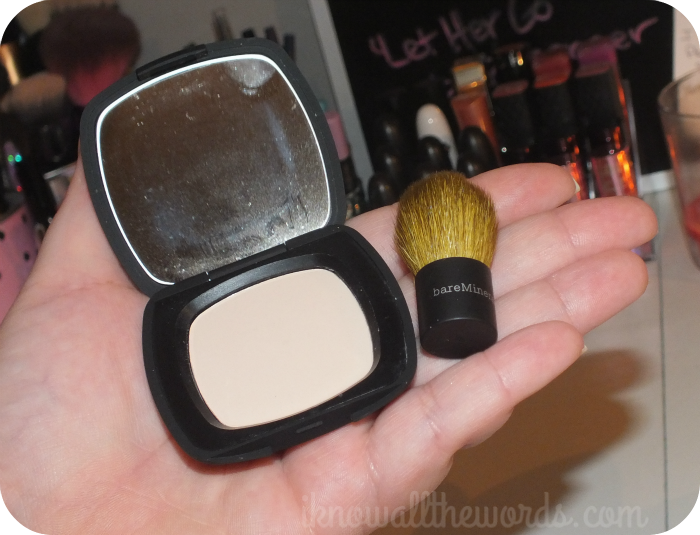 When I compared my old touch up items to the bareMinerals duo in their little bag you can see that they end up being about the same size. The main difference though, is the fact that I also was able to add in a few other necessities in the bareMinerals bag and still have room to spare. Not too shabby! Overall, this ended up being the perfect purchase! At $15 ($12 USD) it's a bit expensive for what it is, but for the space saving and utter cuteness, I don't really mind. Do you have space issues with your bag? What do you do to solve them? I'd love to know your tips!